My avocado is gone. I accidentally gave it away. You see, I asked the vegetable man if he had broccoli, and he had to go to the market special just to get it for me. Broccoli is out of season and expensive, so he then checked back with me to see if I really wanted it before he brought some. 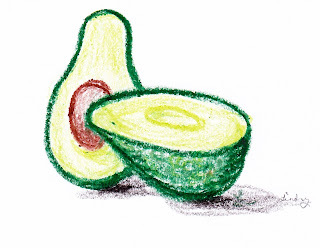 When he did, I showed him the avocado and asked him if he knew of them so that he could find those for me, too. He understood the avocado was a gift for him and he took it away with him. Now that I think about it, isn't an avocado a fruit? So I guess I'm asking the wrong guy anyway. I had big plans for that avocado.